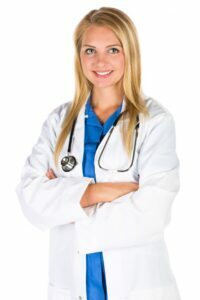 The Importance of Choosing a Medical Professional to Carry Out Your Medical Aesthetic Work. Would you ask a plasterer to fix a broken tooth? Consider the scenario – You are out to dinner one evening, you bite into a tasty morsel and ‘crack’, you break a tooth. You absolutely would not consider asking your next door neighbour, ‘Joe’, who happens to be a plasterer, to fix it back together for you – he would have neither the training nor the expertise to carry out the job. No, you would ring your dentist the next day and make an appointment to see somebody you know has the correct qualifications and experience, and who you can be confident will do a good job. The field of medical aesthetics is no different. We have all heard the horror stories, and seen the photographs, of botched treatments carried out by people who, quite frankly, didn’t have a notion about what they were doing. This is why we believe that it is important to choose a medical professional to carry out your medical aesthetic work. In Ireland, botulinum toxin should only be administered by a medical professional or a registered dentist. In Ireland, botulinum toxin anti-wrinkle injections should legally only be administered by a medical professional who is registered with the General Medical Council, or by a registered dentist. However, due to the easy availability of cheap dermal fillers on the internet, and the fact that the injection of these is not regulated in Ireland, these treatments can actually be carried out by anybody. This is particularly worrying when you consider the amount of knowledge that you need to have to safely carry out a treatment like this. Although medical aesthetic facial injections are deemed to be ‘non-invasive’, it is incredibly important to have not only extensive knowledge of facial anatomy, but a practitioner should also be able to look at the medical history of a potential patient and decide whether a treatment is safe for them. These facial treatments are, in fact, medical procedures, and careful consideration should be given when deciding who should administer them to you. Ideally, when researching your treatment, you should look at the medical professionals at the Clinic of your choice and check if they are registered medical professionals or dentists. This should be the first step you take – if the answer is no, you would be well advised to look elsewhere. At the Eden Medical Clinic we follow the ethos that it is important to choose a medical professional to carry out your medical aesthetic work. All of our medical professionals are fully qualified and registered dentists. They are all specially trained in dealing with area of the face from the chin to the forehead, and have also trained extensively in facial aesthetics. If you agree that it is important to choose a medical professional to carry out your aesthetic work, then do not hesitate to contact the Eden Medical Clinic and make an appointment for a free consultation.